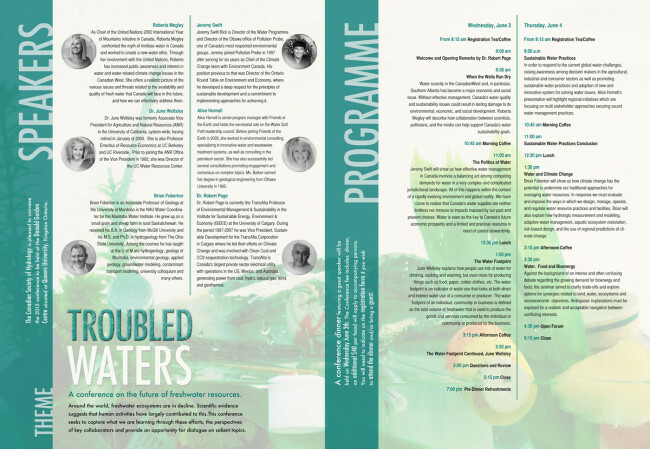 Flat inside spread of the conference brochure. Simple webpages for the conference that outline the main details of the event. Tall standing banner advertisement for the conference. 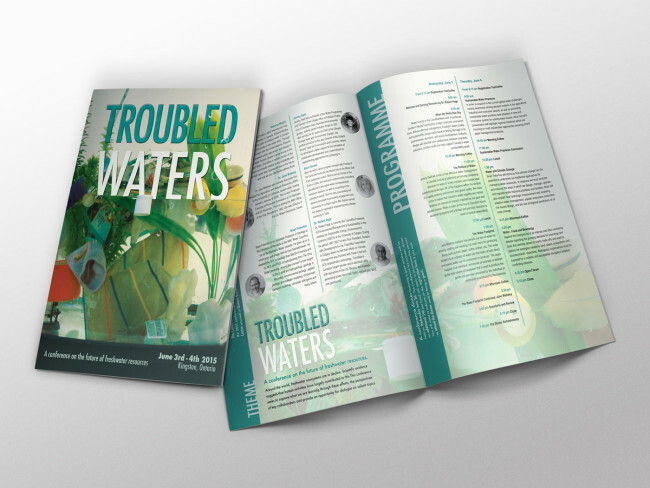 Troubled Waters is a conference on the future of freshwater resources. Involving talks on how human activities have largely contributed to the decline of freshwater ecosystems. This is where the concept derived from of things from our everyday lives. The simplest of things can contribute to this if we act so carelessly. The best approach to showing what’s happening in the real world, is to involve it. Filling a tank with everyday, random items that we may be discarding of improperly, seemed like the best way to highlight a little part of such a big problem. The cover for the conference brochure shows the tank with little things that mean nothing to us when we aren’t thinking about the impact they could cause. The typography stands at the fore front to bring attention to the focal elements. 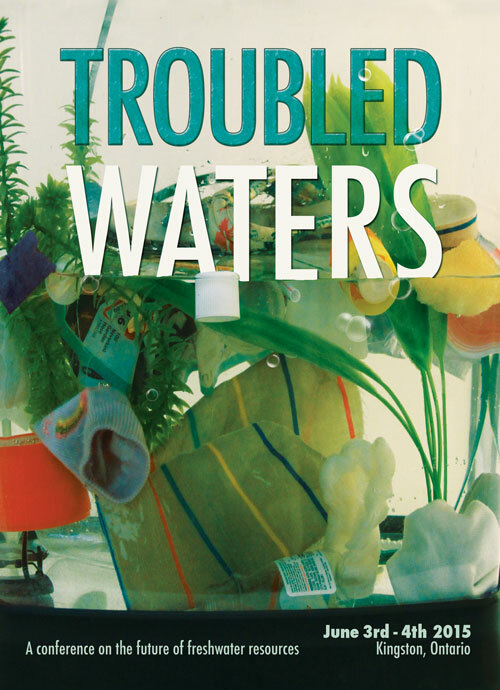 ‘Waters,’ just sits on the edge of the water, representing how this problem can go either way. It may be sitting on the edge, but the final outcome is all up to us and our decisions. The colour palette was important to the design. Pulled from the photo, the colours are strong, creating a platform for the design. 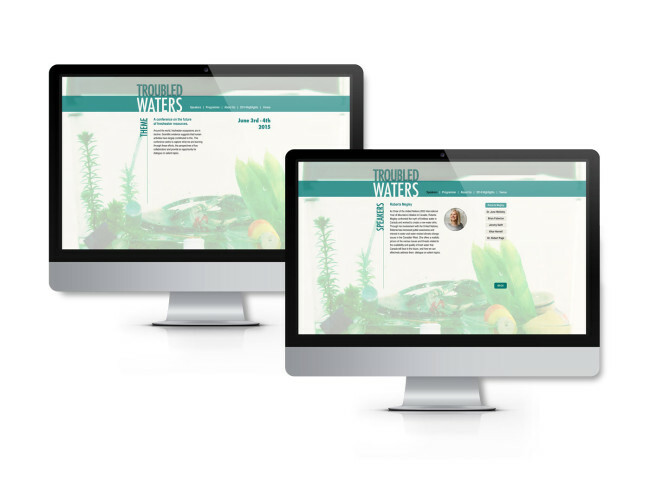 The design is meant to speak to the audience to create a sense of importance. Making everything visually appeals creates the interest for them to learn about a topic that is important, but may not be their primary thought.